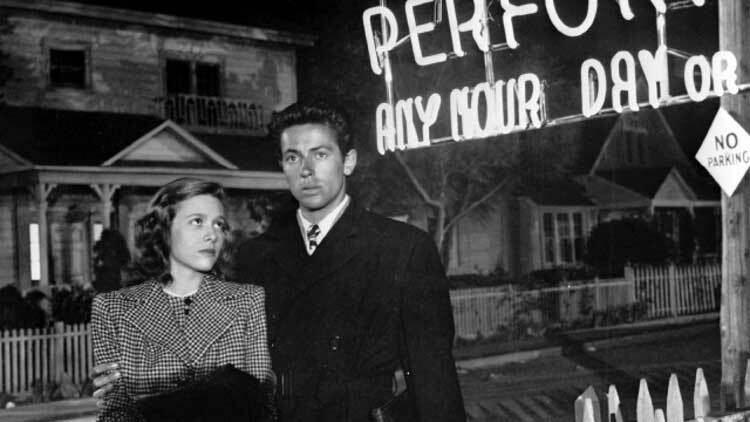 For his seventh feature, Nicholas Ray ventured into the crime world that served him well in his debut They Live By Night. Released in 1951, On Dangerous Ground depicts a cynical cop that’s lost his way in the dark city. It’s the type of character that we still see today, particularly on prestige TV series. Jim Wilson (Robert Ryan) is a grim anti-hero with no interest in playing by the rules. There are even Dirty Harry-like moments where the Chief tells Wilson that he must tone down his behavior or risk losing his badge. He’s a loose cannon that must be controlled! 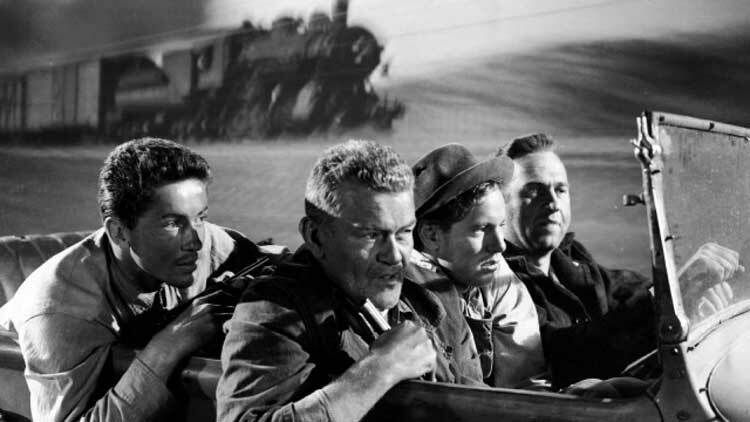 Robert Ryan (The Naked Spur, Bad Day at Black Rock) is the perfect choice to play this unhinged guy. His expressive face says plenty with limited dialogue. When Wilson mercilessly beats a suspect, the camera stays on Ryan’s face. It’s a frightening look inside a cop that has seen far too much. Screaming “You know you’re gonna talk! I’m gonna make you talk! I always make you punks talk!”, Ryan is quite believable. There is no doubt that Wilson is going to gather the info he needs no matter what it takes. The line between cop and criminal is razor thin, and Wilson might be worse because he’s acting with the arm of the law. An effective opening sequence presents a series of nighttime calls to cops for an extensive search for suspects. 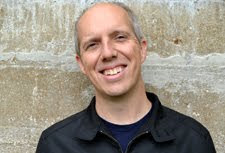 The emphasis on the procedural aspects is surprising from a director like Ray, who often seems more interested in a story’s emotional context (that comes later). During the first act, there’s little sense that we aren’t going to stick with the cops. I knew little about the plot going into this viewing, and the fast-paced opening works well. Ray puts the camera inside the cars and gives us obstructed looks at the action in the city’s back alleys. This helps set the mood of a depressing crime world, and even the audience is likely on board to escape it. What makes On Dangerous Ground stand out is its odd left turn during its second half. Sending a city cop to the country to investigate a murder isn’t that surprising. What makes the shift different is how little Ray and Co-writer A.I. Bezzerides seem to care about the case. It’s really just a set-up to bring Wilson into contact with Mary Malden (Ida Lupino). She’s blind and living mostly alone in the snowy wilderness. Lupino’s glassy stare helps make sure we get the point, even if Walter Brent (Ward Bond) can’t see that she’s blind for a while. His revenge-minded father of the victim is so blinded by rage that he almost clumsily burns down the cabin. The hard edges of the first act disappear, and we’ve shifted into a family melodrama and love story. Before Wilson and Brent meet Malden, they join a town-wide manhunt for the killer. 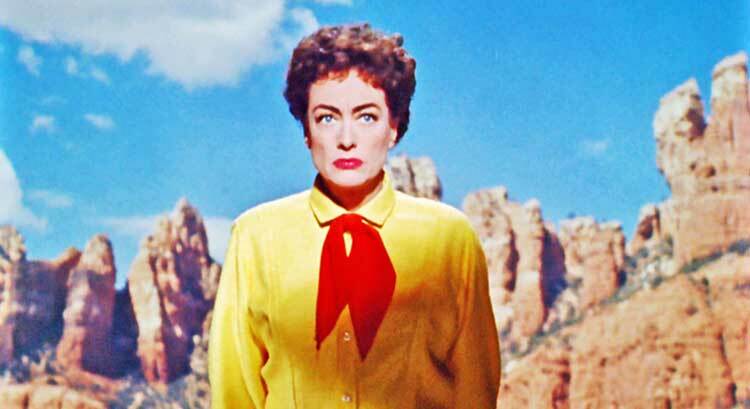 It’s the film’s most epic sequence and has a strange town mania for the chase. It’s the most exciting thing to happen in the town for quite a while! In this revenge-fueled setting, Wilson doesn’t seem like he’s out of line. In fact, his measured approach in the new setting is a contrast to the townspeople’s. Bond is dialed up to 11 as Brent, and Wilson seems eerily composed by comparison. Part of the change is this wide-open landscape plus an interest in Malden. The change of scenery pulls the darkness away from Wilson, and he’s comfortable here. 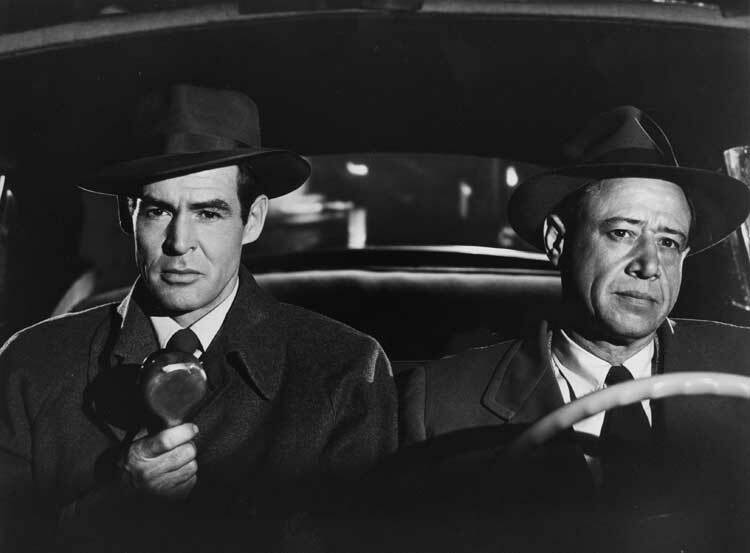 Lupino and Ryan do their best with the material, but the story grinds to a halt in the third act. It’s a surprising move to slow down so much in what’s essentially the movie’s climax. Even when Brent and Wilson chase down the suspect, the result seems more inevitable than thrilling. An exception is the one-on-one meeting between Wilson and the killer, which works because of the cop’s internal conflict. His interest in both Malden and this small-town life means more than catching the bad guy. The conflict appears mostly in Ryan’s facial expressions, which shift as his demeanor softens with Malden. Taking care of her gives him a much-needed mission. 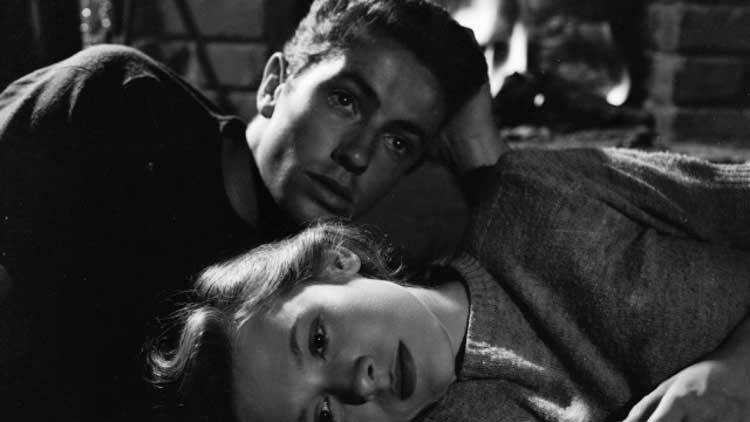 Despite some awkward moments, On Dangerous Ground is a worthy noir because of Ray’s direction. He finds inventive places to put the camera, especially in driving sequences. One crash gives the sense that you’re inside the car as it tumbles over in the icy snow. This film also runs a brisk 82 minutes. A two-hour version of this film would be tedious. A slow Bernard Hermann score adds to the sleepy tone of the scenes inside the house. Wilson needs this quiet life to push back his demons, but it’s less inspiring to us. What clicks is the way his demeanor shifts back to depression when he drives back into the city. That world would eventually kill Wilson’s soul, and he must escape or risk falling prey to the worst parts of himself. On Dangerous Ground is currently streaming on Filmstruck and available to rent through Amazon.